Mr Puar is one of the friendliest shop owners we have met so far. Every visit lasts far longer than anticipated as we are plied with delicious sweets from Pink City a few doors down and tea. His business is a slightly unusual mix of travel agents and clothing. The shop currently looks a bit tired and makes the classic mistake of listing all that is sells on the shop front making it feel a little cluttered. 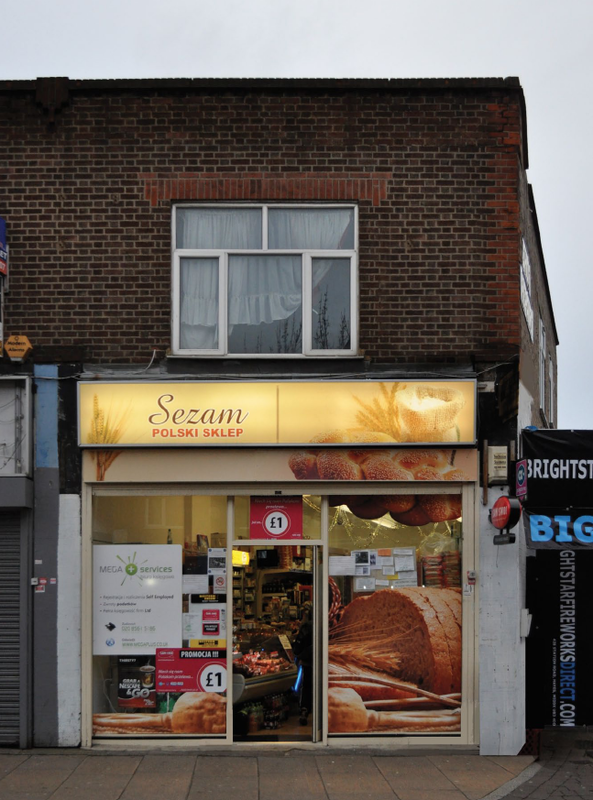 Most Polish shops look alike in London. We aren’t quite sure why this is. This store is very friendly, once again really nice people work there. But the window displays are a bit cluttered and we aren’t fans of back lit illuminated boxes. There are other ways to grab peoples attention. One way to stand out is to be a little different, be recognizable. Another great business in Hayes. Really friendly and helpful owners who were a joy to work with. 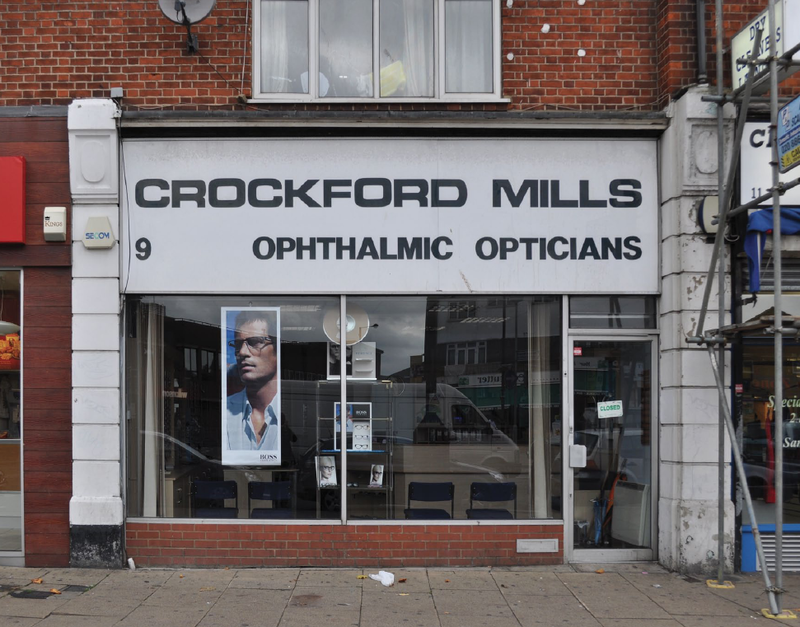 Crockford Mills has a long standing reputation in Hayes. It’s a greta, well respected, professional business with fantastic and really good customer service. It’s greta meeting business owners who are really friendly and nice people. 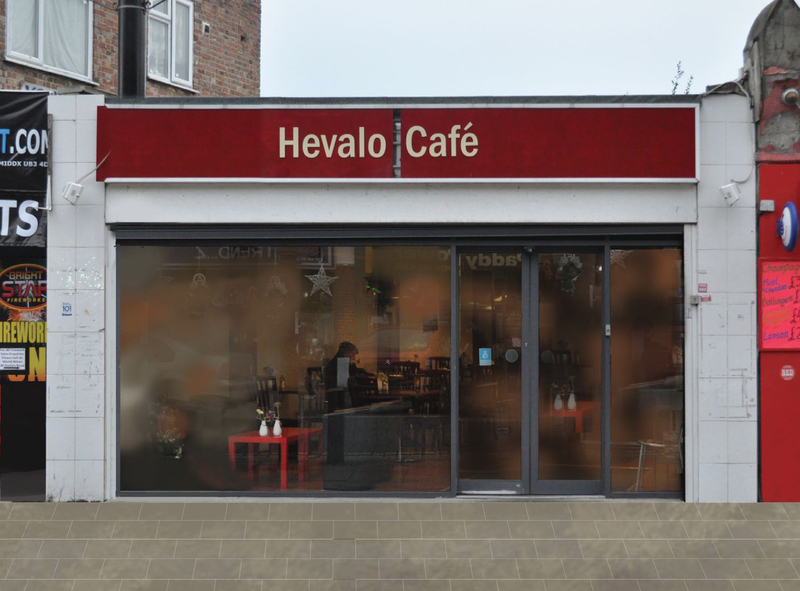 This is a great little cafe in Hayes run by really nice, friendly people. 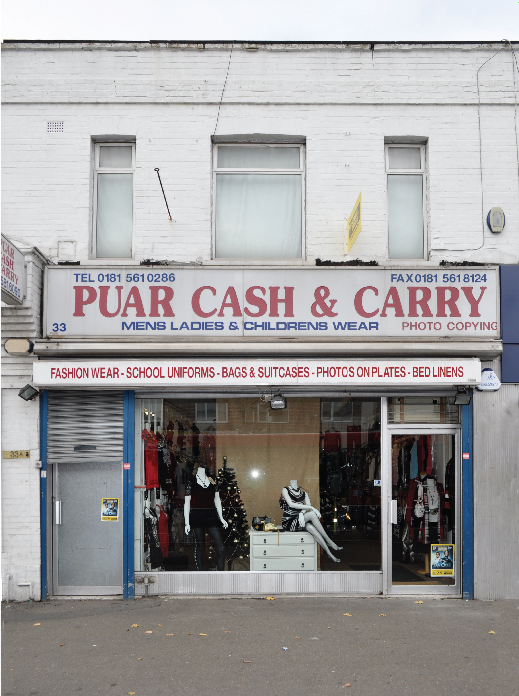 The current shop front is simple and clean, but not overly special. Inside they had some framed retro advertising posters which became our source of inspiration. 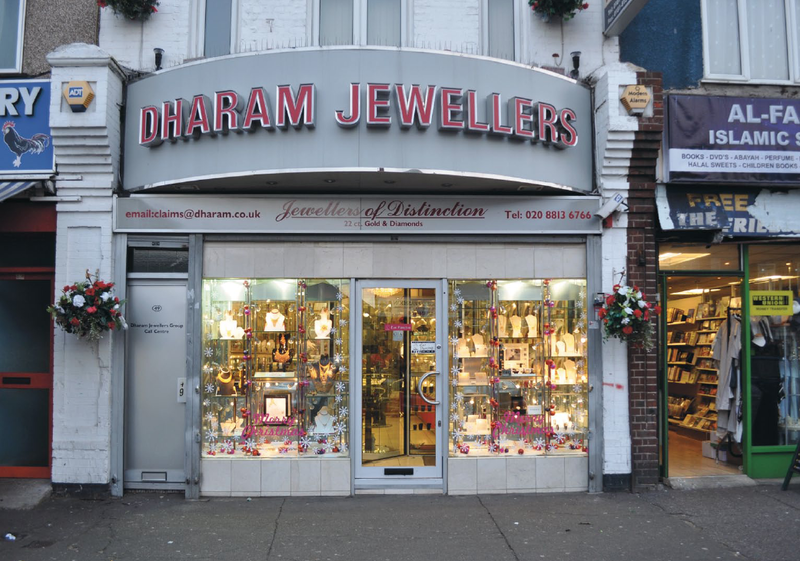 This is yet another great family run business in Hayes. It’s incredibly friendly. The owner always has a great big smile on his face and he was always please to see us. 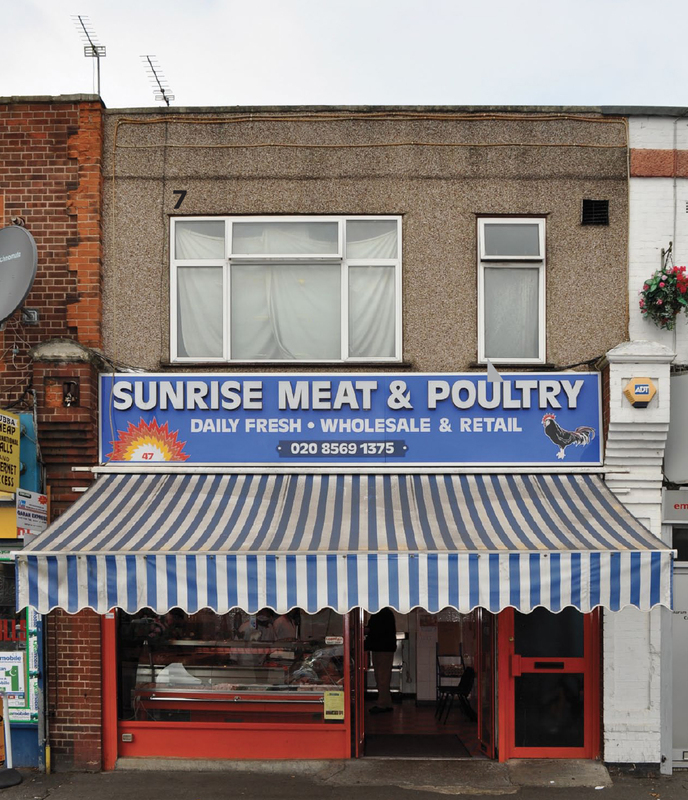 Exactly what you want from your friendly neighbourhood butchers. But the shopfront felt a little tired. 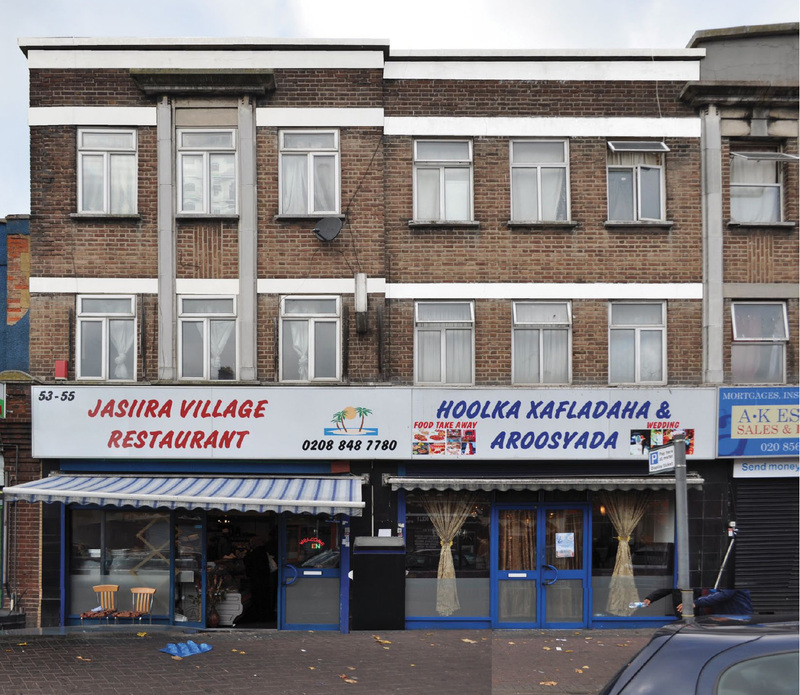 Our first meeting in Hayes was at this restaurant. We raced across london in Snails pace traffic for 3 hours from South East London only for our laptop to stop working. Luckily we got it working and the rather enthusiastic shop owners in Hayes queued up afterwards for a chat. We helped ourselves to some of the fantastic food that was on offer. If you are in the area and you want to try Somalian food we highly recommend this place. The food is excellent and the owner one of the most welcoming guys you could wish to meet.